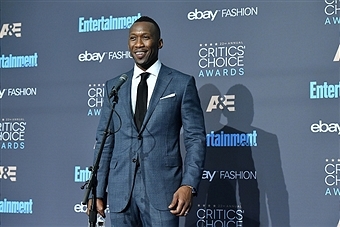 “The Critics’ Choice Awards” honor the finest in cinematic and television achievement and historically are the most accurate predictor of the Academy Award nominations. The musical “La La Land” took home eight awards at the 22nd Annual Critics’ Choice Awards, which was held at the Barker Hangar in Santa Monica. Hosted by actor and comedian T.J. Miller, the film earned Best Picture, Best Director and Best Original Screenplay, Best Cinematography, production design, editing and score accolades. Nominated for six awards, the most of any series, “The People v. O.J. Simpson” series received four trophies including Best Movie Made for Television or Limited Series. Sarah Paulson won for Best Actress in a Movie Made for Television or Limited Series, Courtney B. Vance for Best Actor in a Movie Made for Television or Limited Series, and Sterling K. Brown for Best Supporting Actor in a Movie Made for Television or Limited Series. 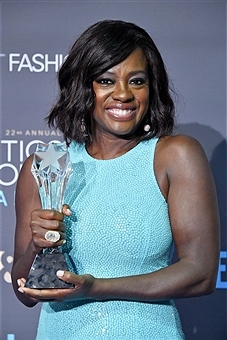 Viola Davis also received the first-ever #SeeHer Award presented by the Association of National Advertisers in conjunction with A&E Network and actor Ryan Reynolds was the recipient of Entertainment Weekly’s Entertainer of the Year Award, which was presented during the ceremony as part of a multi-platform content and promotional partnership launched this year between EW and the Critics’ Choice Awards.